If a picture can say a thousand words, what does a video say? Instagram has a video feature and many brands are using this growing social media platform to showcase their products. This powerful feature helps take your followers into a new dimension into you are and what your business is about. While shooting videos can feel a little more intimidating and time consuming, the benefit that can come can make a powerful impact on your business. Whether you are advertising for a special event, or just showing the behind scenes of what your business is about, using the video feature on Instagram can make a powerful impact. Instagram only gives you 15 seconds to show your video, but a lot can be communicated and displayed during those few seconds. 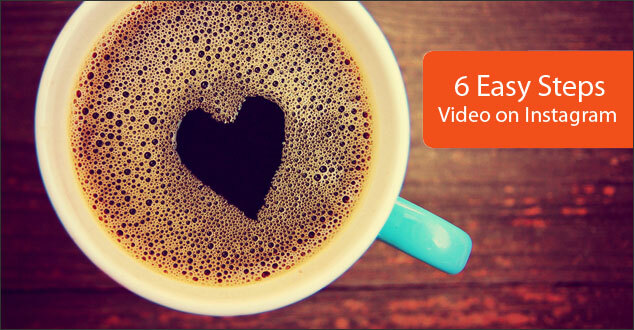 Here are 6 easy steps to take to post an Instagram video. Plan and make your video. Here are a few examples of business that have used video to help display their product and who they are. Rachel Brathen, @Yoga_Girl, uses videos to show different yoga routines, and “how-to” different poses. Designs by Robyn Love, @Robynlovesteele, shows her talent using calligraphy as she makes beautiful artwork for weddings. TWLOHA, @TWLOHA, is a non-profit moment that helps others uses videos to directly speak to their audience about who they are and the direction they are going. Once you have your video created, you will need to upload it to your phone if you don’t have it already. The great thing about Instagram is that it allows you to create high-quality content and keeps it simple. When you have your video uploaded, open your Instagram app, click on the video icon on the bottom and you will find that all your videos that you have saved to your phone will be listed here for you to choose from. Cropping your video is one key features that Instagram makes sure to include to help you edit your video the way you want it to look. This simple feature is one I didn’t realize at first. I was posting videos and finding myself frustrated when I wasn’t getting the exact position I wanted. 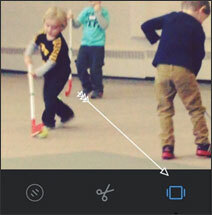 Instagram gives you the option to zoom in-or-out, move the video up-and-down, and side-to-side. This crop will be your vital first part of your editing. This will be the step that you want to do. After you have added the other edits to your video you won’t be able to go back and do this without losing those edits. Instagram’s classic filters can be added to videos too. Choose from any of the 13 filters that they have to offer and add one to your video. You can use the “moon” filter to give a fun black and white video, or maybe a “gingham” to help brighten your video up. Make sure to choose the filter that fits the video and your brand the best, and of course choose no filter at all. The important aspect when choosing a filter is to keep the overarching theme of your page in mind. It might be a helpful strategy to choose similar filters for most of your videos and your photos. This will help to give a nice cohesive and clean look on your main profile page. It is amazing how much you can show in just a short 15 seconds. Instagram does give you the option to choose which of those 15 seconds it will be. One feature that many brands are doing are adding a fast forward feature to their videos which gives the opportunity for more content to be seen in this small amount of time. The scissor button in the middle of the screen is where you will begin with the next part. 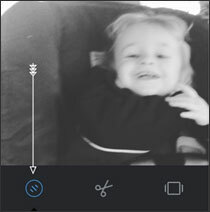 Once you press that button, blue lines will show up along the bottom of your screen inside a timeline of your video. By sliding the blue lines on either side you can choose how long or short your video will be. One key part to notes here is that you can still preview the video as you are moving the lines to make sure you are capturing the moment you want. The last step in the editing process will be to choose the cover frame on the far right side of the screen. This is a single frame that will be placed as the cover of your video. When your followers are scrolling through they will see this photo. The goal here will be to find a still capture that represents your video and one that will entice your followers to click on your video. Videos allow for still images to come alive and express a new and different part of you and your brand. Using Instagram’s video feature can not only impact your business, but change how your followers see who you are and what you do. The possibilities are endless from introducing your staff members and tutorials to featuring products and more. While, it can feel like posting a video is a job for the professionals, don’t cut yourself short. 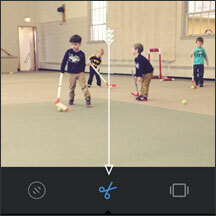 Instagram makes the process easy for just about anybody. Have you used the video feature on Instagram? Please share with us how it has impacted your business and brand. If you haven’t used the video feature, how do you see this feature working for your brand? We would also love to hear what you find most challenging about posting video. Thank you for your sharing your thoughts and please check us out at www.instagram.com/rrwebdesign. Awesome tips. I’ve only posted 1 video on Instagram and I wasn’t aware of all these features. Johanna, I’m happy to hear that you found these tips helpful! Melissa did a great job on this, didn’t she?